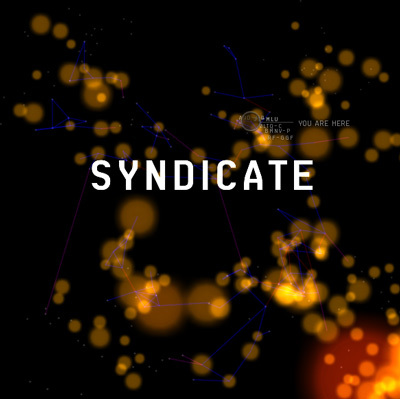 What's so special about Syndicate? Initially, Curse and Syndicate might seem quite similar - both are NPC regions with a very large number of stations (unlike say, Venal or Great Windlands which have only a few) and both regions directly border empire space. However, Syndicate differs from its Eastern counterpart in two very significant ways. While Curse was dominated by a single empire entrance (concentrating most of its PVP activity into a small area), Syndicate has an impressive seven empire entrances spanning three regions, plus an additional two (including a fourth empire region) nearby in Cloud Ring. This makes Syndicate incredibly accessible, as well as distributing activity throughout the entire region. The second significantly difference is that while every constellation in Curse lead somewhere, meaning high traffic, most of Syndicate leads nowhere; most pipes in Syndicate lead either to a dead end pocket (such as VV-VCR) or to a lowsec entrance (for example Y9G-KS or D85-VD). The only routes deeper into nullsec are into Cloud Ring via A-SJ8X or Outer Ring via 3KNK-A, and both of these are more directly accessible from elsewhere (not only that, but Outer Ring is another NPC region, and tends to be relatively quiet). Because of this, you get far fewer large gangs rolling through than you do in Curse; the only people who fly through Syndicate are the people who live there, and the people who have chosen to go to Syndicate specifically. Let me elaborate on that last point by discussing something completely different - PVE. Nestled close up against empire space as it is, the sec status of Syndicate is quite poor. This means that the rats are worth less than those you'll find in Curse or in deeper NPC regions. In addition, Syndicate is not owned by a major pirate faction - it's owned by the Intaki Syndicate, a minor NPC faction similar to the Thukkers. This means no lucrative pirate missions and no pirate epic arc. While Curse and Venal are positive goldmines for money making, Syndicate will leave you relatively space poor. This seems like a major drawback at first, but let me finish; combined with the fact that Syndicate isn't a convenient route into sov nullsec, the low worth of the space itself means that there really isn't any compelling reason to be in Syndicate, except for the PVP. Almost everyone in the region is there to PVP first and foremost, and it's this which makes Syndicate such an excellent place to get a fight. Geographically, Syndicate can be split into two halves - Upper Syndicate (which is everything left of F67E-Q on dotlan, up towards the nullsec pipes to Cloud Ring and Outer Ring) and Lower Syndicate (which is everything to the right of that system). Agony has lived in Syndicate a number of times, and currently makes our home in 31-MLU in Upper Syndicate. Upper Syndicate is a network of pipes and pockets, with easy access into two other nullsec regions for roaming. This area features Syndicate's only direct hisec exit, from PF-346 into Orvolle. This is a major traffic route, and the only one of Syndicate's entrances which is regularly camped (usually on the gate between PF- and FD-MLJ, rather than on the larger region gate itself). Activity tends to be quite high all along the pipe from F67 to TXW-EI(1), but is consistently good in most of the surrounding area too. Another unusual feature of Upper Syndicate is the three pockets which are only accessible through Outer Ring. Like most dead end pockets in the region, these tend to be home to slightly more entrenched corps and alliances who like having their own space, and can be good locations to stir up a fight. As with any pocket with a single entry point, beware of being trapped in by the defenders should you linger too long. While activity is generally quite high in Upper Syndicate and the roaming opportunities are good, it is pipe heavy and doesn't contain many alternate routes to a given destination. Because of this, the area can be prone to camps, particularly on the main pipe as well as choke points like 3KNK-A. Of course like most gangs in Syndicate, the camps that do occur tend to be relatively light and are more a danger to single ships rather than to roaming gangs. (1) Special mention goes to Poitot (or as well known Agony member Caldak likes to pronounce it, 'Poitoit'), the only named system in Syndicate and the only one I'm aware of to have ever had it's own website! (Unfortunately, said website is now offline). MHC-R3 and M2-CF1, as well as anything between that path and the lowsec exit in 6-CZ49. The constellation at the back tends to see less traffic, and as a result these are popular ratting systems (and often good if you're looking for a juicy battleship kill). In addition to this web, there are a number of pockets in Lower Syndicate too. The PC9-AY pocket is small and easy to defend, and has historically been the home of the (now disbanded) Huzzah Federation. Still, this pocket tends to suit people who want a defensible home, and as such can be a good place to stir up a fight. Be careful though, since it's very easy to get trapped in this pocket should the defenders choose to block off any of a number of coke points. The 97X-CH pocket is more accessible, and tends to see quite high traffic. Most systems in this pocket are part of a circuit, making it relatively easy to evade the defenders should you need to. However given the higher traffic, the residents here may be less likely to form up a response to neutrals in local than they would be elsewhere. Finally, we have the huge VV-VCR pocket. Containing two whole constellations, this pocket has historically proved too big to be held by a single corp or alliance (at least of the kind that generally live in Syndicate), and if often the location of some good old neighbourly bloodshed as rival occupants duke it out. There also tends to be a lot of ratting going on in the deeper S-U8A4 sub-pocket, although getting in there without being spotted can be challenging - the entry pipe tends to be quite populated, and any gang coming through here is likely to be reported in intel channels long before you reach the pocket itself. As with the PC9 pocket it's quite easy to get camped into this one, however due to the size of the pocket that's slightly less restrictive than it would be otherwise. Curse was an excellent region for those who want regular action in a very concentrated area, but Syndicate is evidently quite different. So who would get the most out of this region? 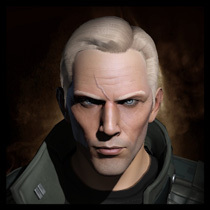 In my opinion, Syndicate best suits the roaming PVPer who doesn't want to have to deal with the large gangs and area control typically associated with other nullsec regions. Gangs here rarely exceed the 15-20 mark, and unlike other NPC regions such as Curse it's rarely used as an access point for larger fleets. It's a region for those who enjoy freedom and variety, with a different opponent to fight every day. Thanks to its sprawling nature and numerous access points Syndicate is able to support a very large number of corporations, and accessing other areas of the region tends to be relatively easy. It's also a great region for anyone who enjoys roaming lowsec but wants to experience nullsec too - with 6 lowsec entry points into 3 different regions (and most of them un-camped), you're able to access vast swathes of lowsec within a relatively short distance. It just so happens that this post was preceded by one over on Jester's Trek about sovereignty, and how system ownership works in NPC nullsec. It's worth reading in its own right, but I also link it because it contains a convenient little map of the region displaying some of the main residents. Brings back many memories of the early days of Dreddit (now in TEST Alliance). Camping the FD- gate, roams up to cloud ring to skirmish with ev0ke and ewoks, raiding BDEAL, running away from cry havok hotdrops. An excellent read. As a relative newcomer to eve I was fortunate enough to spend a good few months learning my trade in Syndicate. Basing out of the pc9 pocket with Random-Violence, it was a killmail factory. Ahh thanks for the memories. Excellent write up - should be really useful in the coming months for me. I actually own Poitot.org =). As I find myself exploring bits of lowsec space more, (and it doesn't seem to be as scary as people always told me)I'm actually starting to look towards nullsec space as the "next stop" on the exploration train. I'm not really looking to move, and I'm not part of a corporation or alliance that is, either, which I take it can be a good or bad thing (no backup, for example, if I get into trouble). Articles like this are great, as they provide some basic information on areas of the game I am completely unfamiliar with. HUZZAH were good fun while they lasted, and the collapse basically stopped me playing eve for a few months. To anyone looking to live in pc9- The graffiti on the top station toilets was me.